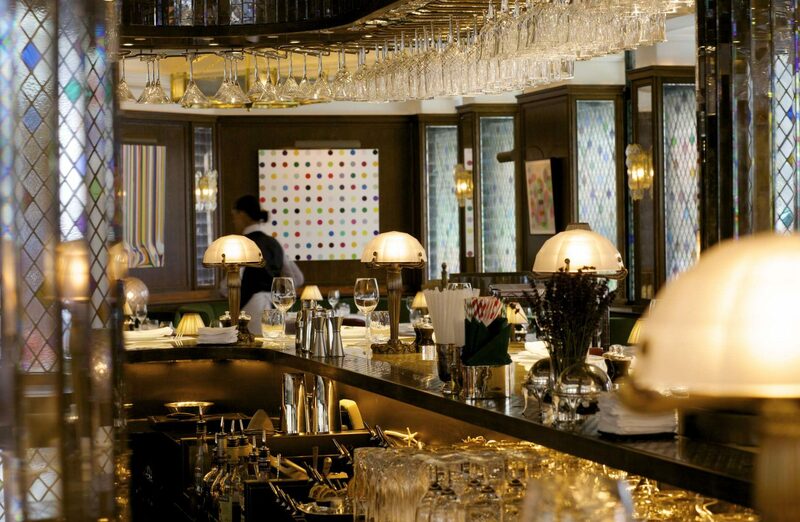 The interiors at The Ivy restaurant are by Martin Brudnizki Design Studio (MBDS) and retain much of the original features including the wood panelling, harlequin stained glass windows and work by British artists. Contemporary elements have been added and incorporated into the new design to establish the restaurant firmly in the 21st century. 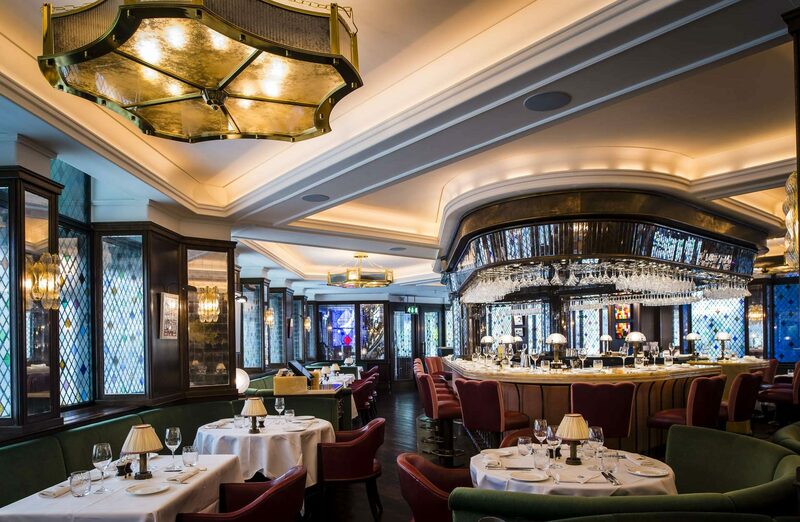 A particularly noteworthy aspect of the new design, and one that the media has frequently highlighted, is the restaurant’s fantastic central dining bar. The stone topped bar boasts beautiful lamps made by our highly skilled team in our London factory. The brief was to achieve a luxurious appearance and decorative feature combined with subtle lighting. The lamp bases were cast in solid brass using handcrafted wooden moulds and the glass shades were hand cut to accomplish the desired faceted look and their internal facings sandblasted to provide a soft spread of light.